The Cafe de Paris is located in Monte Carlo, one of the four districts of Monaco. 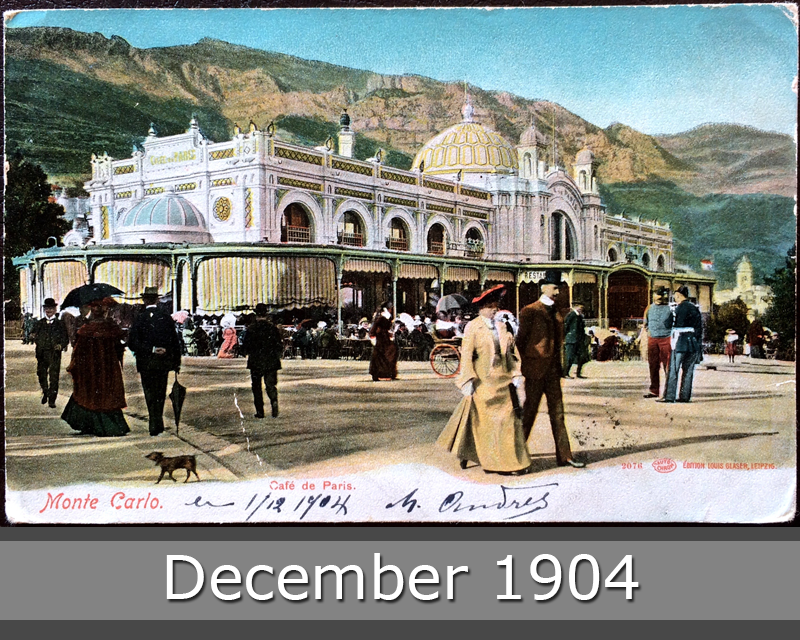 You see the Restaurant in year 1904. 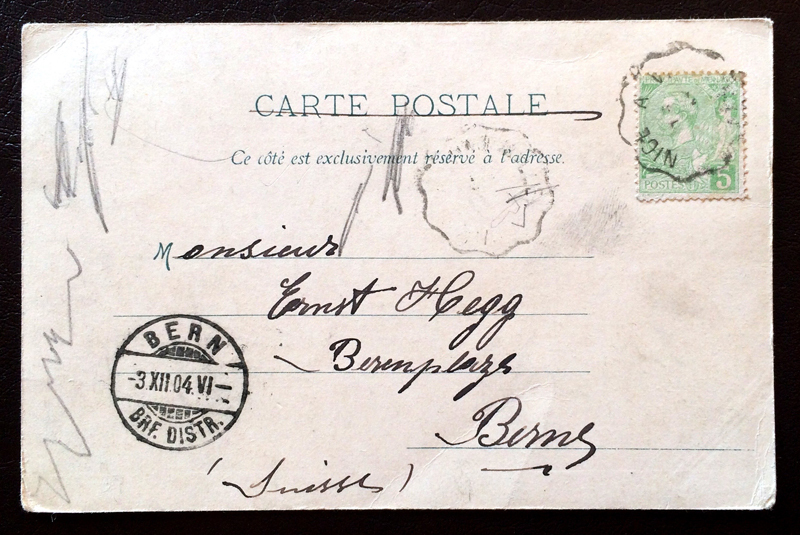 This beautiful postcard goes to Bern in Switzerland.